While I continue to work on that list of auxiliaries within the American Colonization Society… some observations from another item of interest. It might come as a surprise to some that the author of some of America’s original classics journeyed to the Shenandoah Valley (on more than one occasion, in fact) in the 1850s. While I’m going to limit today’s scope of study to Irving and his encounters with slaves in the Valley, I’ll have to give more details about those visits on another day. 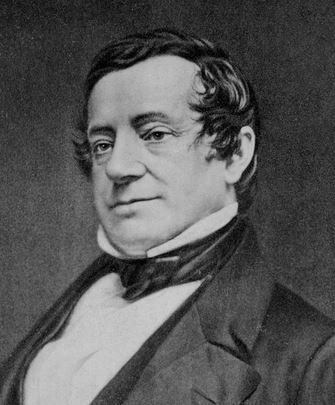 Anyway, Irving’s visit to the Shenandoah is documented in The Life and Letters of Washington Irving (written by his nephew, Pierre Irving), but… in that visit (which is documented in volume 4), not once did Pierre make reference to the words “slave”, “slaves”, “slavery”, or “servants”. I believe this might suggest relevance to a theory held by one of Irving’s more contemporary biographers (Brian Jay Jones), that he [Irving] preferred to keep his distance from the topic as not to alienate any readers. A quick search in Pierre Irving’s collection of letters doesn’t appear to reveal the words written by Irving in his journal. I wonder, therefore, if he conveyed this attitude to his nephew, and when compiling the biographical sketch (after Washington Irving’s death), the nephew adhered to his uncle’s philosophy. Fortunately, another writer… and friend… John Pendleton Kennedy, helped to fill in the gap. 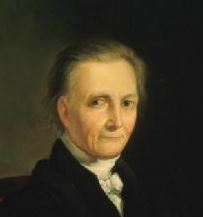 (*If you happened to take time to access that link about Bushrod Washington… you saw that, yes, he was a founding member and first president of the American Colonization Society). Irving (according to Kennedy) couldn’t see anything comparable to that described in Uncle Tom’s Cabin… until he talked to George. Also, reading what little there is, I take it that Irving and Kennedy didn’t make fun of George, but of the imagined tale, behind George, the two writers generated in conversation, perhaps finding (as curious as that might seem to us) humor in their own creation. Just a bit of “forgotten” Shenandoah Valley history that might be unfamiliar to some readers. I’m a bit confused about the exchange between Kennedy and Irving. Were they saddened by the plight of George, or were they mocking Stowe by imagining the type of story she might have created from the short exchange they had just had with George? That’s a good question, CBC. Irving arrived in the Valley on June 23, and up until they encountered George (about a day or two later), they were mocking Stowe because they found nothing that reflected what she wrote about. The peculiar nature of this is that this was not unfamiliar ground (literally) to J.P. Kennedy… they were staying at his brother’s house in Charles Town, VA (now WV). With that in mind, I think it was entirely Irving who was surprised that he had seen nothing like what Stowe had described. After meeting with George, it appears they felt (my guess is Irving more than Kennedy) the sharp sting of the reality of slavery (“Poor old victim of oppression!”). I take it that the two took from this and tried to imagine (writers creating the “framework of a dismal tale”) the greater story around George… and then mocked and laughed at their own creation (not over George’s actual situation). Strange as it might seem, there’s a lot more in the literature of the Shenandoah about slavery than most might realize. Of course, that’s what you get when the majority of the writers were the better educated from that echelon of society that was most exposed to slavery. I am posting in reverse order, having only recently regained the means to keep up, so please excuse if you have covered some of this.